TYLT is currently running a campaign on Indiegogo and this time they've taken the big guns out! 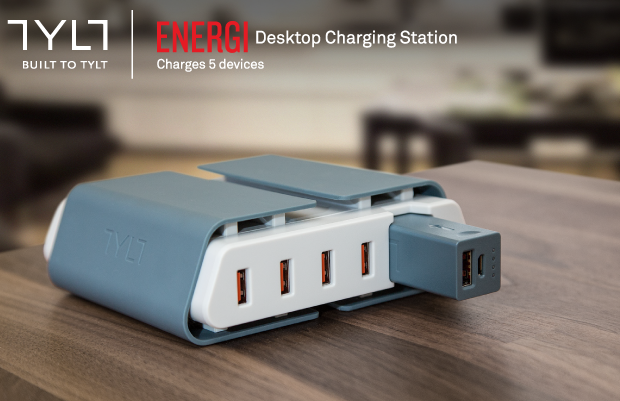 The Energi Desktop charger + portable battery, aims to become to ONLY desktop charger you'll ever need. 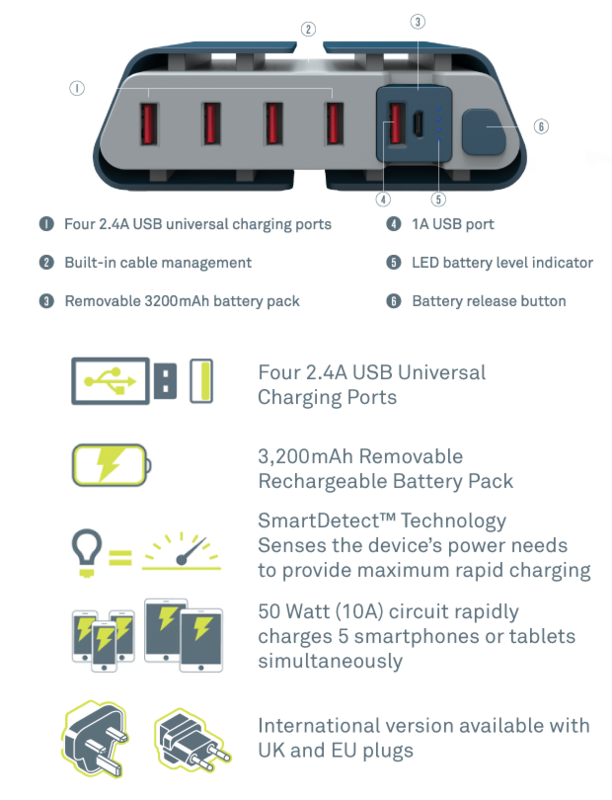 This is one of the fastest charging hub that offers a portable battery. 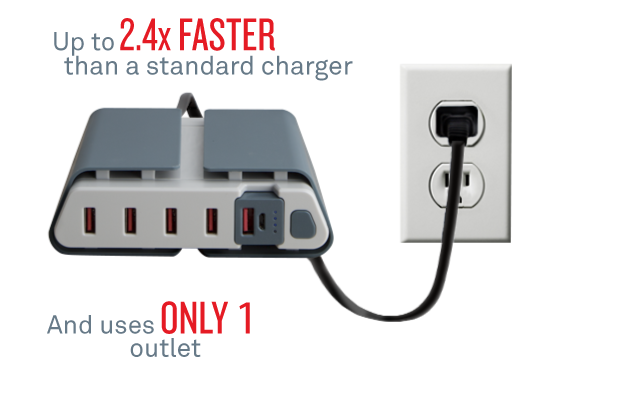 With this device, you can charge up to 5 devices at the full speed it should of a 2.4A per port. Delivering you with 50Watt/10A of juice. 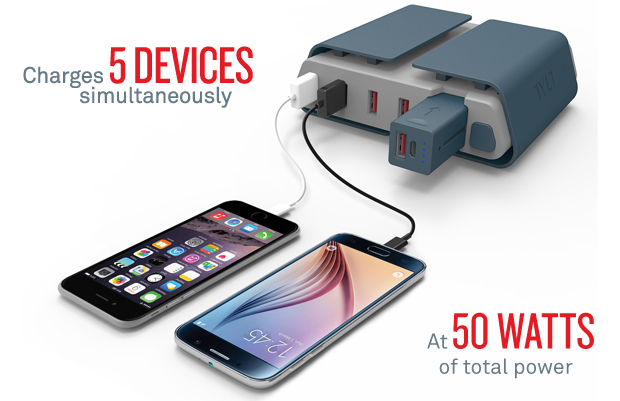 The portable battery offers any user a whooping 3200mAh to carry around with you at any time. Removing the constant need to be around a wall outlet. Stay tuned on Android Coliseum as I will be back with a full device review once I have this unit in hand. I'm going to love using this little monster and what it offers. In the mean, I invite all of you to check the campaign. We all know the quality that TYLT offers and in case you didn't, you should start looking at everything they offer. Within this device and others, TYLT has included "Smartdetect" technology which allows the device you plugin to be charged at it's fullest possible speed rate.